Meetings are an important part of the work day for many of us, but it’s a wonder how they ever get scheduled. When there isn’t a great deal of free time in your calendar, joining clients and colleagues in the same room at the same time can sometimes feel impossible. That’s why we all need WhenWorks. After setting up your free WhenWorks account, all you need to do is tell it when you’re free to take meetings. A webpage will be created where clients and colleagues can book appointments at a time to suit all participants. WhenWorks syncs with the Calendar app on your iPhone so it’s easy to keep up with your schedule. And if something else comes up during your free time, WhenWorks identifies that you’re busy and updates your webpage to reflect that. The service can also be synced with Google Calendar, Office 365, and Outlook.com. Only those who have your webpage URL can book meetings with you, so you don’t have to worry about random people turning up at your office for a surprise chat. 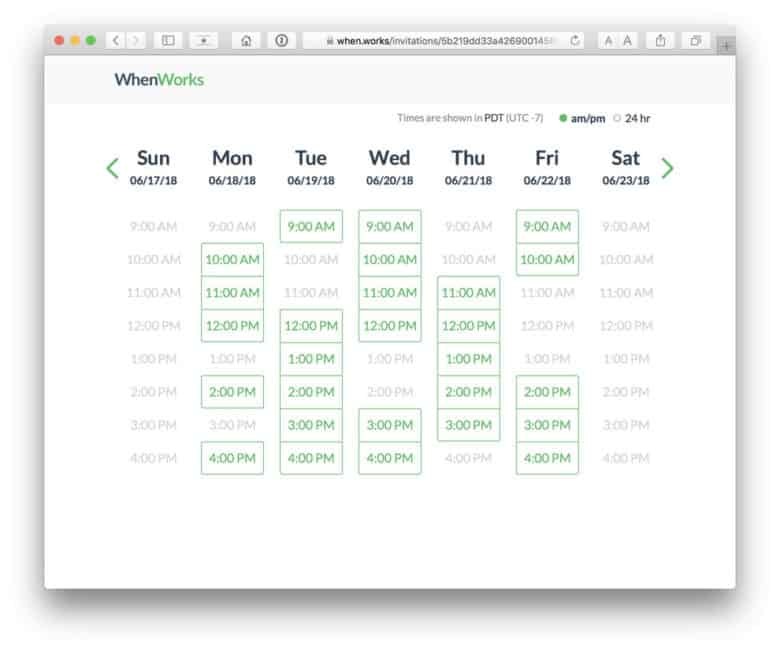 What’s really great about WhenWorks is that it’s completely free to use if you schedule less than five meetings a month. You get an online scheduling page, unlimited event types, and more without coughing up a penny. If you need to schedule more than five meetings a month, you can subscribe to WhenWorks Pro for just $5 a month or $50 a year. A 14-day free trial is available to all new users. Download WhenWorks from the App Store now to get started, and never worry about having to schedule a meeting again.